A new initiative designed to engage more young people from BME communities in cricket will launch this week. 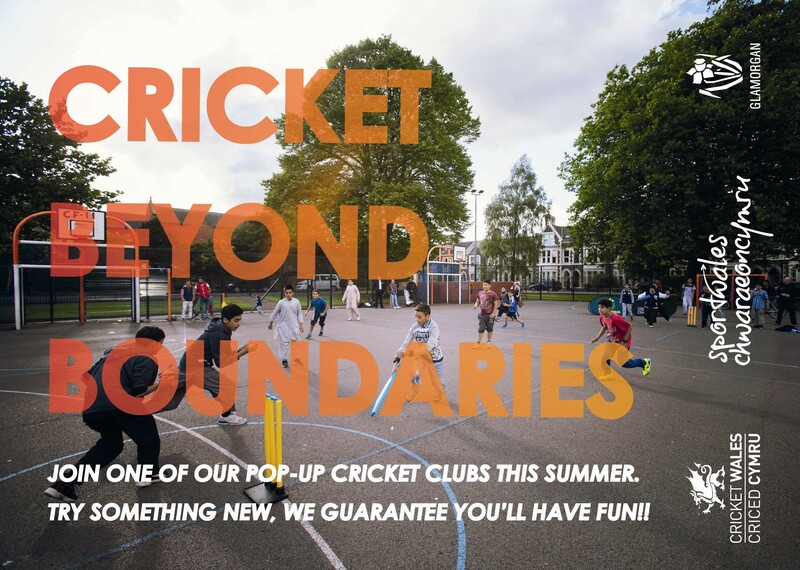 The Cricket Beyond Boundaries project will offer 7 pop-up cricket clubs across Cardiff, targeting areas not usually associated with mainstream cricket clubs. This novel initiative, which will be targeting areas of Cardiff not generally associated with organised cricket clubs, is part of the Calls4Action programme launched by Sport Wales to help tackle inequality by using sport to breakdown cultural and economic barriers between communities. Sarah Powell, Chief Executive of Sport Wales – the organisation who is overseeing the Calls4Action funding distribution and progress, is confident of the project’s success despite recognising the uphill struggle they’re facing. Ms Powell said: “We do not accept that any barrier is insurmountable when it comes to providing high quality sporting opportunities to our communities, although we recognise for some it will take time and a focused commitment to overcome them. The project is coordinated by Cricket Wales in partnership with Glamorgan Cricket and a variety of delivery partners including Welsh Asians, Grangetown Allstars and Cardiff Gymkhana Cricket Clubs plus Cardiff Youth Service, YMCA Plasnewydd, Oasis Cardiff and Sport Cardiff. Support for the project was made available via a £70,000 grant from the Sport Wales Calls4Action fund which is targeted at reducing inequalities in sport and aiming to create a cricket network with more professional opportunities for people in BME communities; communities known for a very strong, yet non-professional relationship with the game. Ali Abdi, who has masterminded much of this project with the help of Cricket Wales’ development manager Gavin Hawkey, said that he hopes the project can “offer more opportunities to a community that is already very committed to the sport and that the young people involved from playing to coaching get to the highest levels they aspire too”. To ensure the clubs are organised and equipped sufficiently, they have received cooperation from Oasis Centre for asylum seekers and refugees, YMCA Plasnewydd and local cricket clubs Grangetown All Stars, Welsh Asians and Cardiff Gymkhana who will host clubs in the Grangetown, Riverside, Splott, Butetown, Roath, Plasnewydd and St Mellons areas of Cardiff. 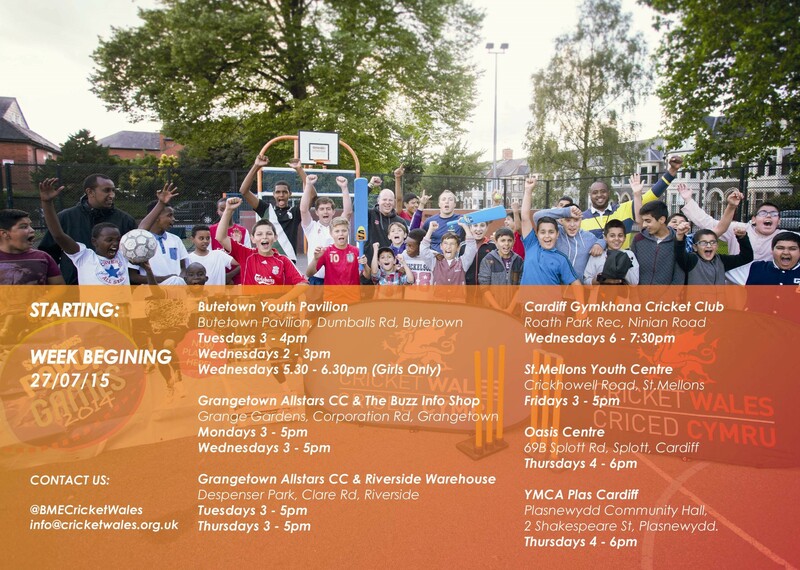 In the spirit of breaking down barriers faced by BME communities, Cricket Wales have scheduled the launch of the pop up clubs to take place after Ramadan, hoping to increase participation of children from Muslim families and ensured the times didn’t clash with children who attend Mosque during the holidays. Not only will this be a fun introduction to cricket and provide equipment for communities where children have not previously had access, but if successfully maintained, should provide improved scouting opportunities for the more talented children. This programme serves as a reminder of how sport has the potential to reach the doorstep of every child in the country, and thanks to the tireless work of Gavin Hawkey and Ali Abdi, there are a few less doorsteps without it.